"We are a local, Independent Estate Agent with customer service at the heart of what we do." I started working as an Estate Agent in Cheshire when I was 19 years old. My twenty plus year career has centred around Cheshire and Stockport with a six year spell selling property in Central London. "Having grown up in Bramhall it was always here that I wanted to open my first office. I love the area, I love the community spirit, and I love the houses!" Alongside Leighton is Gemma Lumby. Leighton and Gemma met in 2012 on his return from London, when she joined him as a Sales Manager. Gemma had been working in Brighton selling and letting property and was keen to come back up north and take on a new challenge. "Leighton and I would often talk about opening our own agency. We always felt there was a huge void between expensive, but local, High Street agents and the cheap and impersonal online agents, that needed to be filled" And so began the creation of Leighton Snow Independent Estate Agents ... We are a hybrid agent: we combine the hands-on personal service associated with High Street agents with the technology led, fixed fee ethos of an online agent. People don’t want to and shouldn’t have to pay excessive sums to sell their property. Why should the fee you pay depend on your house price and not the services you are buying? The creation of the online agents offered a cheaper solution, but often failed to deliver the personal and professional service required to see through the largest and most complex transaction, most people undertake. Research by consumer watchdog Which? Mortgage Advisors found that 66% of home buyers ran into some form of issue while purchasing a property. Customer service and local knowledge can be lost in an online world but with over thirty years of combined experience there are few problems Leighton and Gemma have not resolved before. 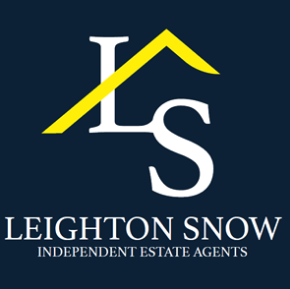 How can Leighton Snow offer great service at such low costs? It’s simple, we don’t have the overheads of a glass fronted High Street office. We are located in offices on Fir Road, Bramhall. Our offices are on the first floor where you can visit us for a meeting or just a friendly catch up over a coffee in our meeting room. In an age where Rightmove and the internet dominate property search and sales, we feel a better approach is to forgo the large and expensive office and focus on the business of selling property for a reasonable cost. Our office in Bramhall allows clients to pop in and speak with us during business hours and when our office is closed our phones transfer through to our personal mobiles so we’re always contactable. Whether you are a vendor selling a property or a purchaser looking to buy one, we’re here to make it happen in the friendliest, most professional manner; our job is that simple, and we very much look forward to working with you.